Freelancing is no longer a new thing in Nigeria but personally, I spent all my time working for myself and not as a freelancer until I decided to check things out recently. I wouldn’t be writing about online freelancing if I had not tried it myself because a true blogger tries different things and share his or her experience to those who need it and today I am going to share everything I know about freelancing as a Nigerian. I have Upwork and Fiverr account where I find freelancers who can complete a certain task for me while working for others who need my services as well. Before sharing my experience I assume you are here because you want to know how to make money online as a freelancer but to get started you need to acquire some skills and knowledge like. Article writing and translation etc. You can learn any of the above skills through online tutorials if you are willing to dedicate your time but I believe you can easily learn how to write articles so let proceed. One big problem with article writing is that you might not be appreciated for your work no matter how hard you try because clients always want more but wish to pay less at the same time which makes it difficult. Article writing will become harder for you when you are asked to write about something you don’t know anything about but gradually you will be able to research and produce high-quality articles on any topic and niche. 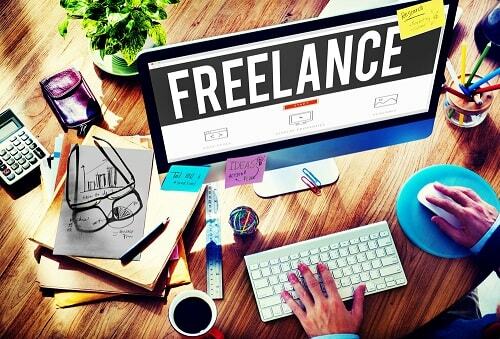 It started when I was going through Nairaland business and investment thread where I discovered a lot about freelancing but unfortunately, most of the guys who share the info about freelancing is only interested in making more money from newbie’s while some are kind enough to share everything for free. When I decided to give it a shot, most of the things I heard were entirely different but now I know better. The profile I am making use of in Upwork and Fiverr were old account I open back in 2015 but I don’t know how to make use of it then or let just say that I was not interested to work as a freelancer. To start my journey I learned that you need well convincing Gigs as we usually call it in Fiverr or a proposal in Upwork to attracted clients attention and I did all that. Fiverr was the first I started working with and it took me two weeks before a client contacted me about my offer but overall it takes a lot of time to start making good money. Am sure you might be asking some questions about Upwork platform to know which one to start with but relax and keep reading, I will tell you everything you need to know about Upwork once we are true with Fiverr. Well, I have seen so many gurus claiming to help you start making money from the first day or from the first week which is still possible but to have consistent offers rolling in you need to have some patience. Though, it’s all depends on your skills and what you can offer because some limited offers has unlimited freelancers ready to work so how then can you be considered a qualified candidate for any task since you are just new with little experience. I faced many challenges as a new freelancer with little experience but I will tell you how to overcome it just the same way I handled my own situation but first let me show you few challenges that might be knocking on your door as a new freelancer. If you create a new Gig in Fiverr about blog content writing and translation then you need to show your clients that you have what it takes to deliver a well researched 100% unique content by showing them your previous written content to check out. Since you are just starting, what you need to do is to install Microsoft word on your system if you don’t have one already. Take your time and do a good research on various topics and niches, write one or more articles each on health, Product review, SEO, digital marketing, finance, education, and social media promotion. Save it and remember the location of the document because you will have to send it to your clients once they ask you for samples. Sincerely, you will really need to fight harder to succeed in Fiverr platform compared to someone from USA or India, I don’t know why but that’s how it is but some guys will open an account as a foreigner using a VPN to mask their IP but for me you need to be patient and have good samples to show them you can be more creative than others. Since you are new to the platform with zero rating or review, you need to keep you offer attractive by reducing the price just to get your first job with 5/5 rating that will boost you ranking in Fiverr. Once your offer looks tempting and affordable, clients will not have any option than to test your capabilities and if you turned to be good then you have more tasks to complete which will probably give you good rating and reviews that will attract other client and that means more money for you. I once used the platform as a buyer and not as a seller asking freelancers to complete some task for me but since then I have learnt few things in the process. Some Gigs doesn’t worth a cent and yet you will pay not less than $7 for a task simply because the offer sounds so good and attractive but in reality it’s meaningless. Though, I must confess that Fiverr makes everything easier to find help through their platform paying less compared to other platforms. To me, I am having fun with Upwork services right now compared to Fiverr but I heard that upwork have tightened their platform and don’t accept new users easily but I don’t know if it’s through or not since I am using the account I opened since 2015. Both platforms operate in their own different ways and the only similarity between them is that, they are both a platform created for online freelancers. Fiverr only allows you to create an offer (Gig) and wait for clients to order for your services while Upwork allows you to find a task you can complete based on your skills and submit a proposal to the client explaining how you will be able to complete the task, attaching your previous work samples when required. The most disappointing moment I had with Upwork was when a client asked me to write bulk articles for him at the rate of $1 per 1000 words article and I feel like slapping him. The first thing to do is to carefully read the description of the task to be able to know what the client needs and then cross check if it’s what you can do perfectly well. Write a very good convincing proposal detailing the measures you will take to complete the task and how fast you are willing to complete the task and off cause keeping the price low is a good choice for a start. To become a successful freelancer you must care more for the quality than the money because quality guarantees consistent income. Freelancing is not as easy as you think but if you know what you are doing then you will make it but don't think you know it all, keep acquiring more knowledge that will help you in feature. If you have the dream to become a freelancer then get started and don’t worry about being a professional because those who claim to be professionals started from somewhere just like you. Always be optimistic and patient because it’s never easy to make money online especially as a blogger or freelancer. Finally, I will love to see your own opinion on this, kindly join the conversation, share your own experience or ask more questions and get the answer right in front of you. I think that UpWork outnumber both Freelancer and Fiverr both in amounts of money which can be earned trough it as a freelancer, it's just my own experience. Freelancer for example have way too many scums and fake projects going on. Haven't tried Fiverr yet.